Dave’s shares in Lexus’s “Relentless Pursuit of Perfection”. You bought your Lexus for its high-performance engine, impeccable design, and luxurious interior. Since the 1980’s they have made quite a name for themselves and continuously produced superior vehicles. Complete with high safety standards, comfort, drivability, and incredible performance. You cannot match the quality and you can’t have just anyone repairing or keeping your luxury vehicle performing at its best. You need one of Dave’s Ultimate Automotive Lexus repair specialists of Pflugerville, TX. 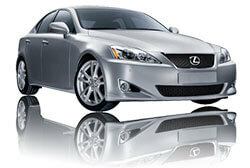 Our technicians are highly trained and experienced in Lexus repair and maintenance. They understand the intricacies of your high-performance luxury vehicle and can handle any repair or service you may need. Additionally, we are here to answer questions and help you keep your car running strong. Our shop has over 2 decades of automotive excellence and the track record to prove it. Call (512) 989-3283 or stop by 900 Pecan St W, Pflugerville, TX 78660 today and see why your new local dealership alternative should be Dave’s. Did you know that you don’t need to have your factory scheduled maintenance service at the dealership. That is correct, you can still protect your factory warranty and let us complete your scheduled maintenance. Not only that, but we personalize your service to fit you and your vehicle specifically. We work hard to increase performance and fuel efficiency while preserving resale value. Our technicians understand Lexus service intervals and know that the way you drive affects when certain services are necessary. Whether you are driving your car on the weekends or commuting to work we have just the right plan for you. Our goal is to help our customers keep their vehicles out of the shop and avoid unexpected breakdowns and repairs. Stop by and talk to one of our Lexus repair specialist today and see what we can do for you and your vehicle. We are Not Your Average Repair Shop! At Dave’s Ultimate Automotive we like going the extra mile. Especially when it comes to our customer’s safety. That is why every time you receive Lexus repair or service from one of our shops we will provide you with a complimentary safety inspection. During the inspection, not only are your tires, trouble codes, and brakes checked but also your alignment. We make it easy for our customer to get around with free local shuttle service and loaner cars upon request. Let us help take the hassle out of your next repair or service. Dave’s Ultimate Automotive in Pflugerville, TX provides reliable Lexus repair you can count on. All repairs are backed by a nationwide 24-month / 24,000-mile warranty. We are apart of the NAPA Care program and want to be your local dealership alternative. Call (512) 989-3283 or schedule service online today.